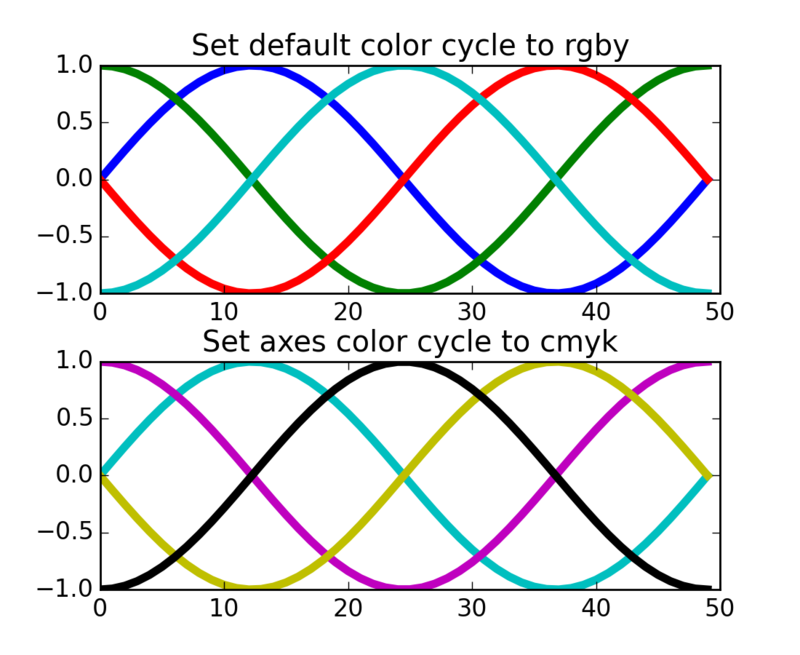 Demo of custom color-cycle settings to control colors for multi-line plots. 1. 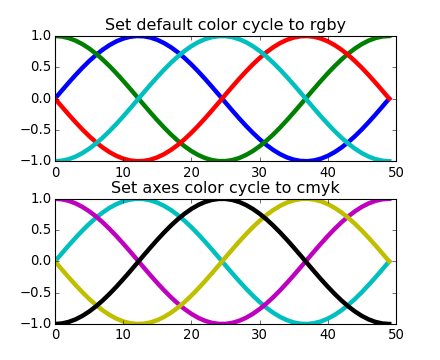 Setting the default rc-parameter specifying the color cycle. This affects all subsequent plots.